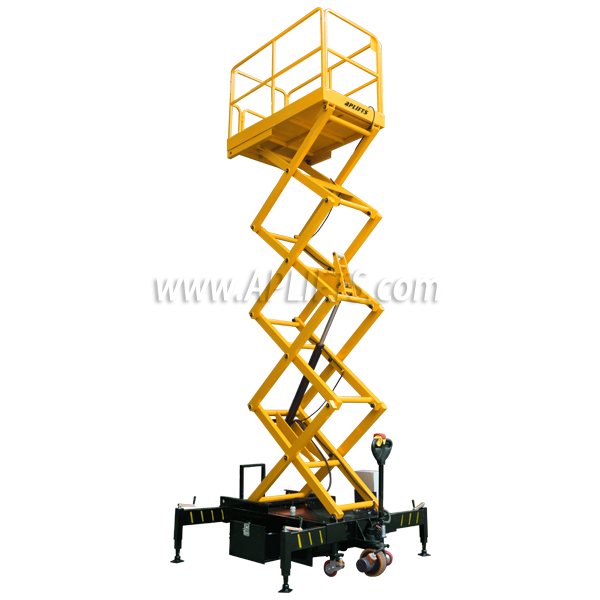 Aerial Work Platform adopts scissor type mechanic structure to bring high stability after being elevated. 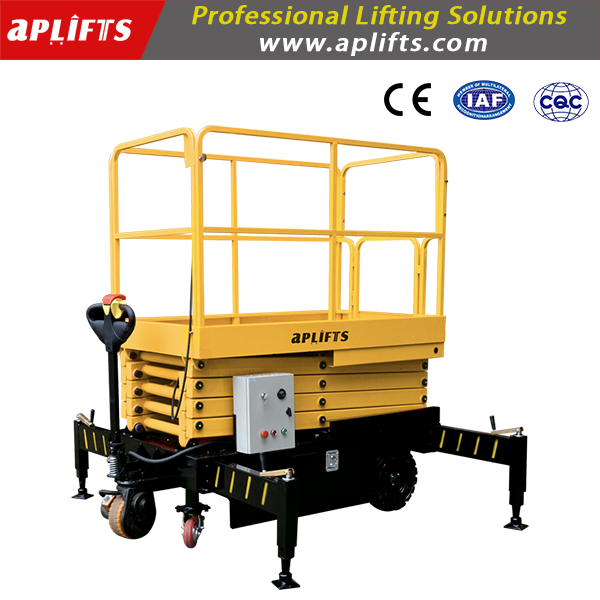 The wide operation platform and high loading ability has made wider aloft work arrange and is suitable for simultaneous multi-worker operation. 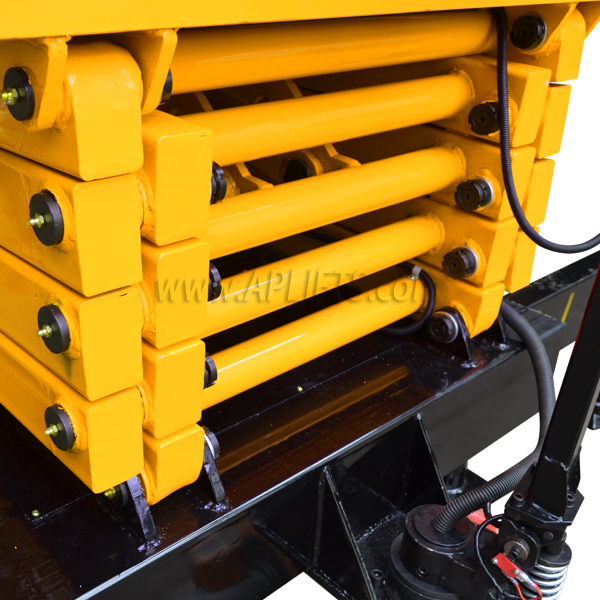 Elevating structure adopts rectangle tube of high-intensity manganese steel for manufacture. 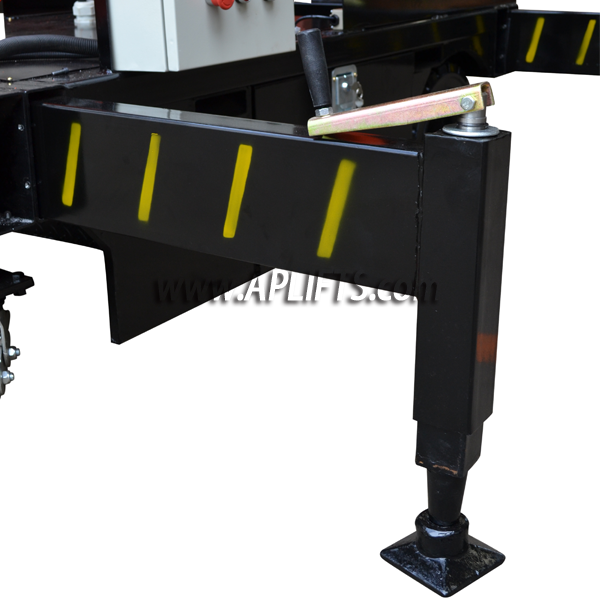 Safe protection device to prevent overload of elevating platform. 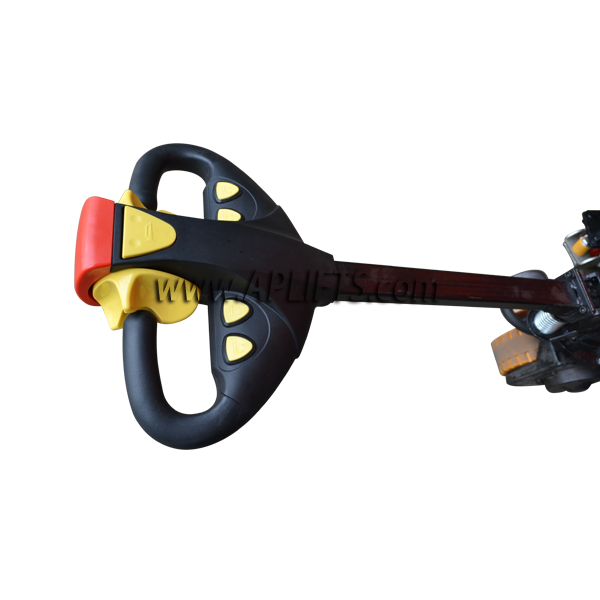 Equipped with anti-explosion valve for avoiding the explosion of tube. Emergency descending device in the sudden power cut situation. Special load capacity and max. height can be made according to customer's requirement.